More grown-up 3 Series. Fine balance on the road. Fantastic diesel engines. Diesel engine stop/start system can be gruff. Beginning to feel and look old inside and out. A lot of safety equipment is on the options list. 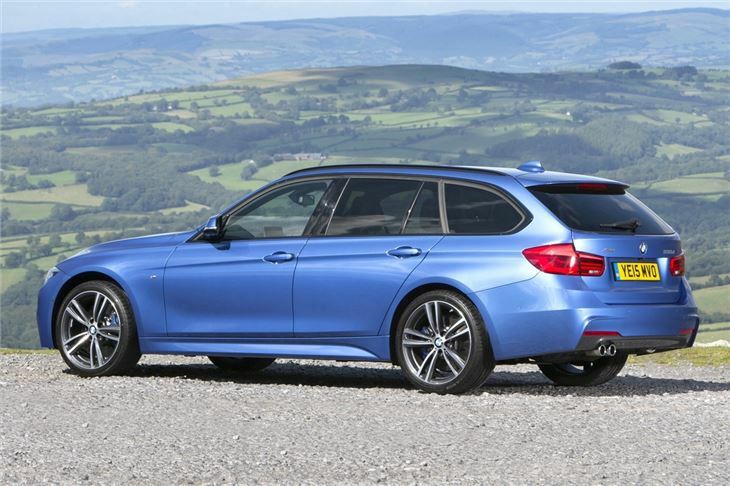 As ubiquitous as your old chap’s Cavalier or Sierra estate car was when you were growing up, BMW’s premium 3 Series Tourer is a volume player today. 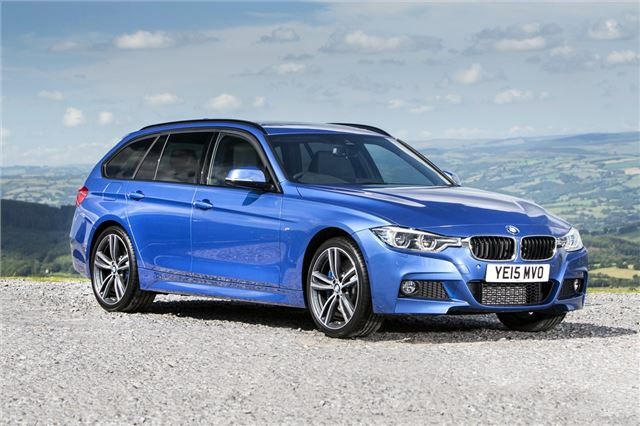 That’s sales we’re talking about, as while the 3 Series Touring is clearly an estate, you’ll find larger load-carriers for the money BMW asks for it, but that’s done little to dent its success. 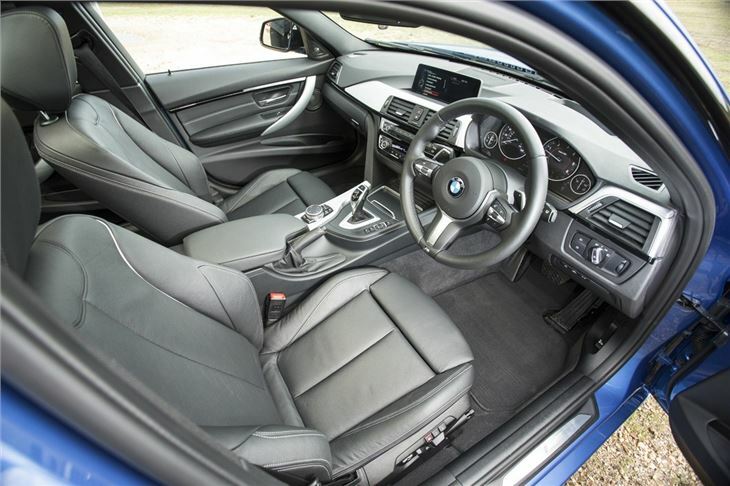 Or its appeal, the 3 Series is an aspirational model for one and all, it's the car that many will pester their fleet managers for, thanks to its combination of that premium badge and its appealing driving characteristics. When it works out around the same to run over a typical period compared to mainstream rivals thanks to good retained values it’s not difficult to see why it’s become so popular. The Touring brings a bit of respectability to the 3 Series, its nod to practicality making it feel a little more grown-up than its saloon relations. 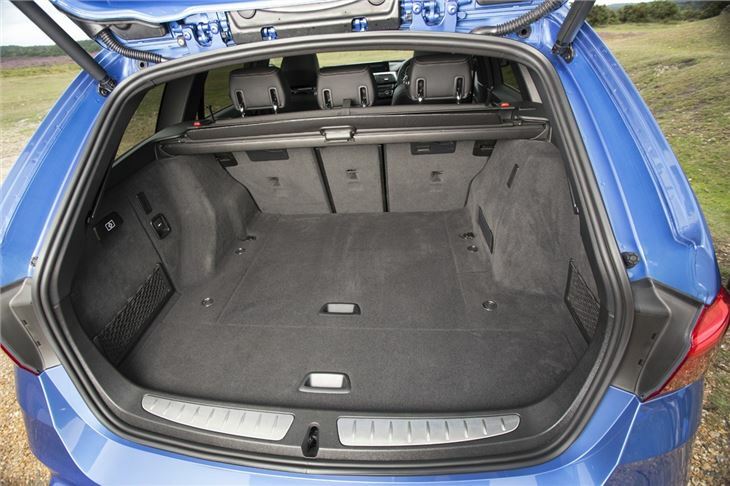 You’ll be hard pushed to notice any appreciable difference on how it drives compared to the saloon, so there’s no real penalty to pay, and the Touring is as sharp to look at as it is to drive. 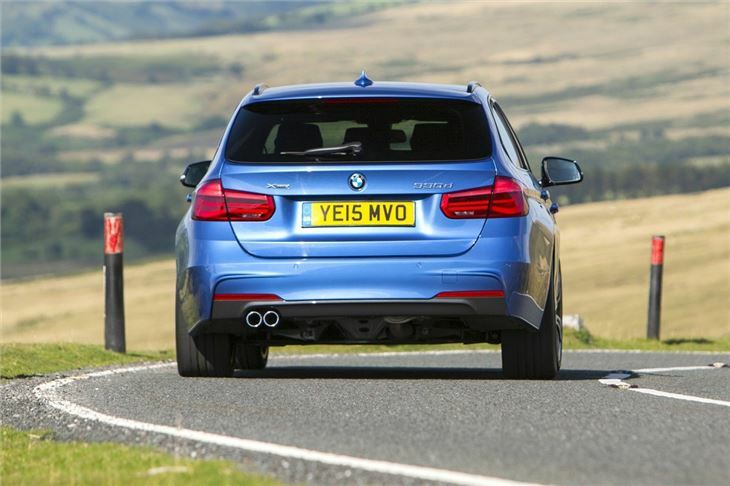 Dynamics - and the engines powering it - have always been a pull for the BMW. More than its Audi A4 and Mercedes-Benz C-Class rivals, the focus with the 3 Series has always been how it drives. It remains the benchmark car in the class particularly in regards to its steering feel, grip and the pleasure of just driving it. There’s plenty of choice, too, with trim levels starting a SE, ED Plus, Sport, ED Sport, M Sport and M Sport Shadow edition. Those EDs stand for Efficient Dynamics, models that have been further honed to eke every last mile out of a drop of fuel, and save on CO2 for the 3’s sizeable fleet audience. M Sport trim brings more overt looks. And all come with decent, if not spectacular when compared to mainstream rivals, levels of equipment. You get sat nav, DAB and Bluetooth telephone connection in all, plus there’s plenty of opportunity to add more equipment via the options list. The engine line up retains BMW’s familiar badging, even if what’s under the bonnet might differ from what you might expect. The base 318i is a turbocharged 3-cylinder 1.5-litre turbocharged petrol, the 320i being a turbo 2.0-litre unit, the 330i being the same but with more power. 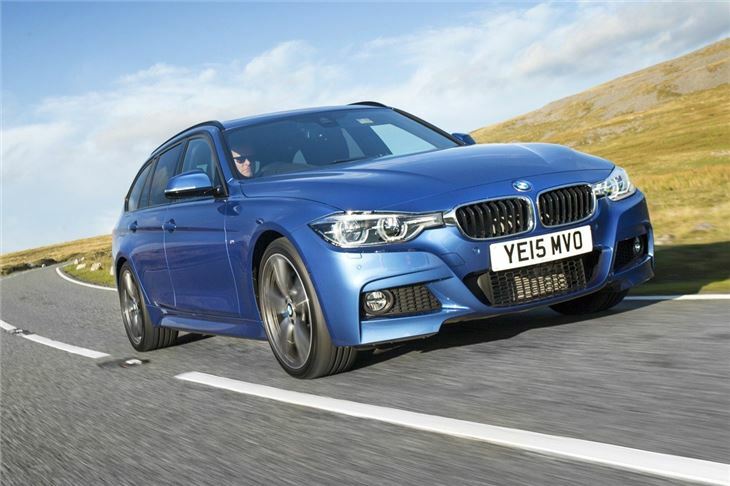 The only six-cylinder petrol is the 340i, which has an in-line 3.0-litre turbocharged engine. Many people choose diesel and there are plenty of versions. 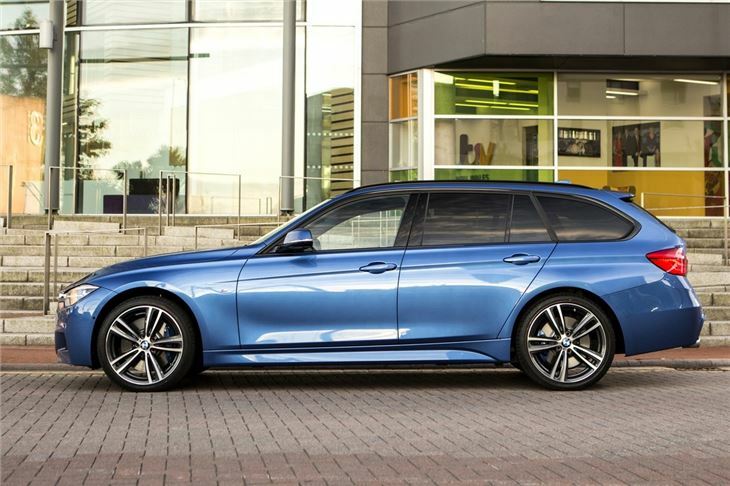 The range comprises of a 2.0-litre turbodiesel, which is badged either 316d, 318d, or 320d depending on its output, with a 3.0-litre six-cylinder turbodiesel also on offer wearing either a 330d or 335d badge on the Touring’s tailgate.